Bring shinny fashion flair to your everyday with chunky bib statement necklace earrings set. With unique tassels pattern, the chain made of high quality leather rope and high polished with white gold. The biggest features of this necklace is with some round blue turquoise on every pattern center. Unique shape and to configure lobster clasp. 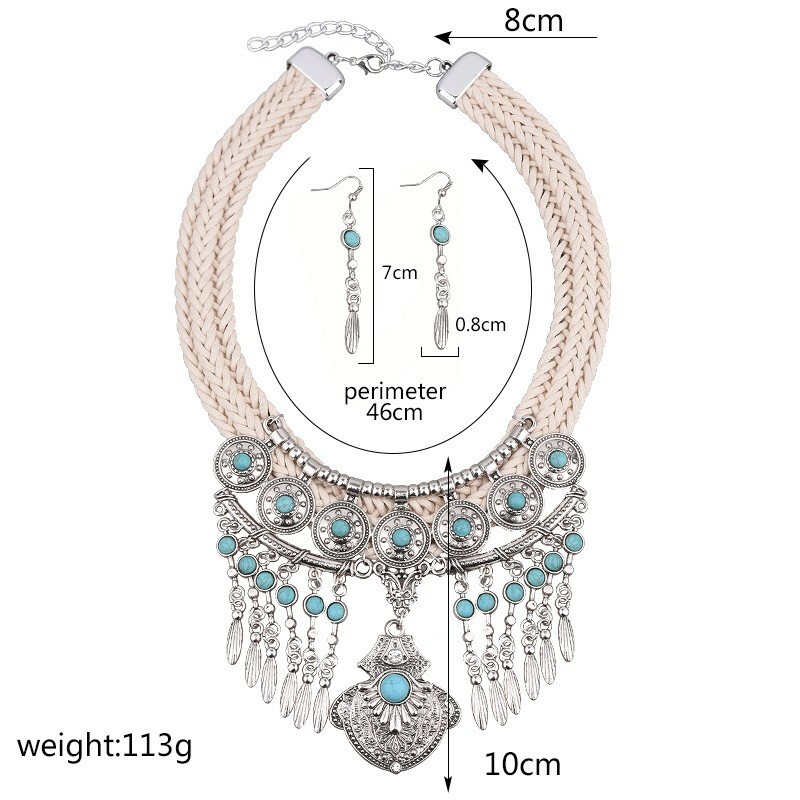 Necklace approximate length: 46 cm + 8 cm extender.